We had a good week this week, a lot of unforeseen complications with quite a few very sick missionaries and hospitalizations, but everyone is all good now and healthy, so we're happy about that. :) We had a great meeting with our ward mission leader this week, and we helped him understand what a ward mission plan was. We have goals in the ward for baptisms, but we haven't been achieving them, and we decided that it was because we didn't have specific plans to help us reach those goals. So this week we talked about some specific plans that we could make to help us reach our goal as a ward, and I'm excited for the upcoming weeks, we've got a lot of good things coming. We had some pretty cool experiences in the capilla abierta yesterday morning as we went out to do proselyting. Like I've mentioned before, Elder Blackmon taught me to always look for miracles when on divisions, and it's continued to happen. I went out in the morning with Elder Smith, one of my zone leaders, and Elder Parker, one of the assistants. We were doing the capilla abierta in Parque del Sur, which is part of our zone (the ward right beneath Rural), and a ward somewhat notorious for being a "hard" ward, with some upper-end neighborhoods. As we went out to invite people, our assigned part of the area was one of those "upper-end" areas, but in spite of that, we found some great people! We were excited to just be out working, and Elder Smith (Parque del Sur is his area) was kind of surprised at how well it was going. He was just smiling and having a great time. He said generally people in the street in those parts don't even give you the time of day, but it seemed that almost every person we talked to was willing to listen to us and hear us out, and were rather friendly people. We found one guy, a young adult about 25-30 years old who was out in front of his car with the car hood open, tinkering with something. We were about to walk right past him, but then Elder Parker stopped and walked over to him and started talking to him a little bit. We quickly joined the conversation, and as we all talked with him for about 10 minutes, he told us how he was a law student at the university, and that he was just cleaning his car up a little bit, but that really he didn't know anything about cars. The coolest part for me was that even though, generally speaking, people like him with his background and living where he lives are fairly quick to reject our message, he was completely down to earth, friendly, and open to hearing about the gospel. It just goes to show that you can't ever judge people by how they look or what they are doing, or anything else. For us as missionaries, we can't judge who is ready and who isn't, so we just try to invite everybody, and whoever accepts accepts, just like the parable of the sower. In the parable, the seeds were sown everywhere, not just in the ground that looked good and fertile. It might look bleak and uninviting, but beneath a thin top layer there could be feet of fertile soil ready for a seed to be planted. "For the Lord seeth not as man seeth; for man looketh on the outward appearance, but the Lord looketh on the heart." 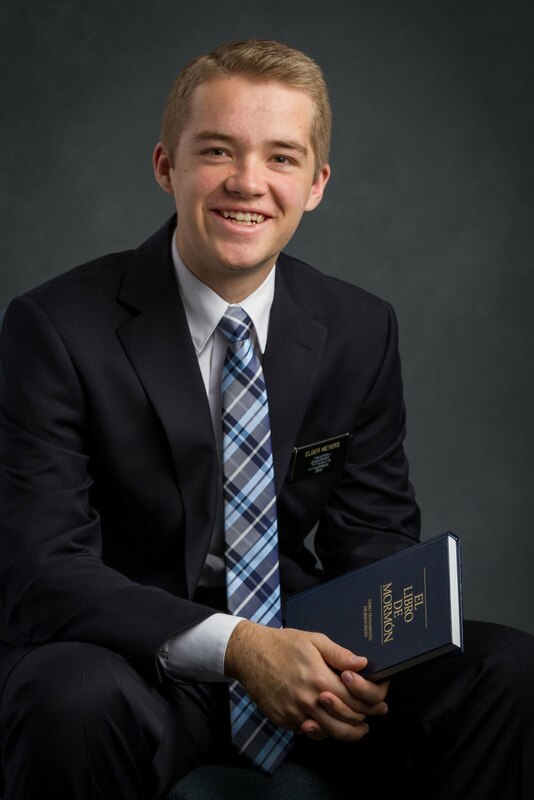 I love being a missionary, and I am so grateful for the amazing opportunity it is to serve others and spread the good news of the gospel. I love this work, and I know that there is no other work more satisfying on this Earth than that of bringing souls to Christ.